Sometime back, we had reported that a contest is being conducted by Srimanthudu team and the lucky winner will be given away the bicycle which Mahesh rode in the super hit film. Latest update reveals that G Nagender Reddy from Karim Nagar district has won the contest. Mahesh Babu himself selected the contest winner from a lucky draw earlier. 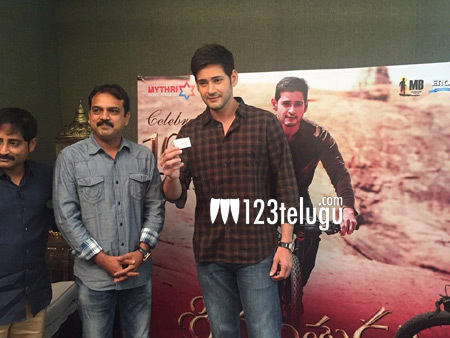 This event was held to celebrate the 100 days success of Srimanthudu.